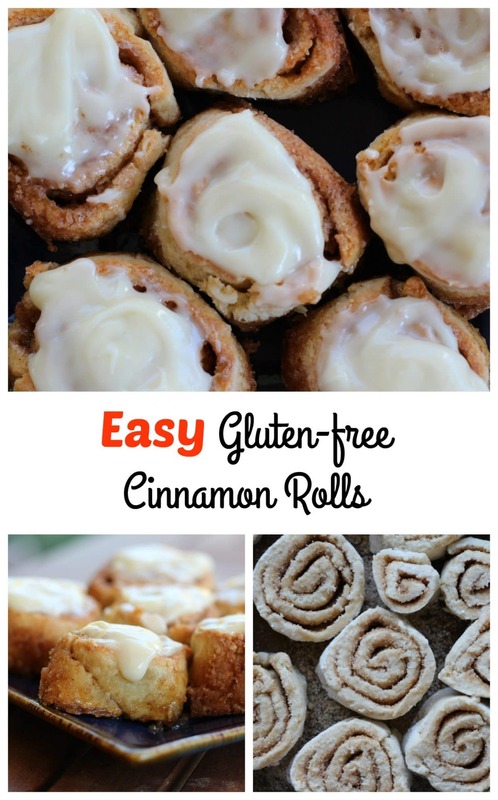 Easy gluten-free cinnamon rolls. You can thank me later. Easy Gluten-Free Cinnamon Rolls – The Video! 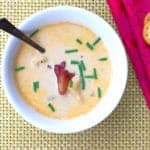 When I was diagnosed with celiac, I figured that there would be certain foods I could never eat again. Hot, gooey cinnamon rolls were definitely one of the foods I thought would be impossible to recreate. 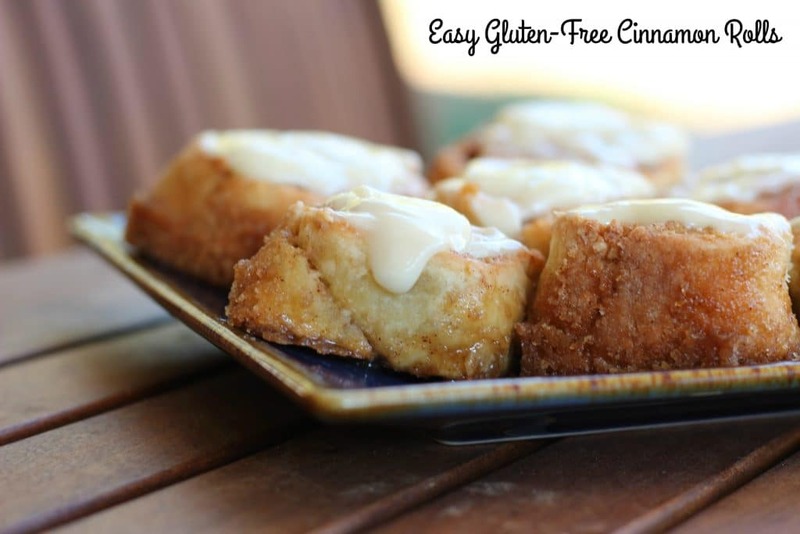 Discovering this yeast-free – no rise – recipe to make easy gluten-free cinnamon rolls has been life changing. I made them for the first time around the holidays and they have been a family (and friend!) favorite ever since. I might hang this image over my bed… Cinnamon roll dreams. I like to roll out my dough on a marble slab I picked up at Sur La Table. Less sticking. Self contained space. Not so much to clean. Set aside maybe 15 minutes to mix and roll these out and then 20 minutes to bake. That’s it. You can also make them ahead of time right up to the point that you put them in the oven, cover them and freeze them. I pull them out to thaw when I make my coffee and then pop them in the oven when my coffee is ready and the oven is warm. 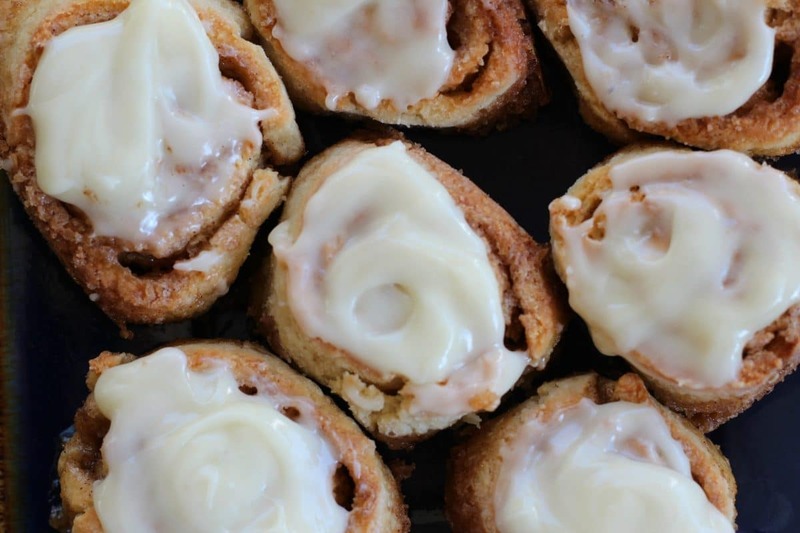 These easy gluten-free cinnamon rolls will transform your life. 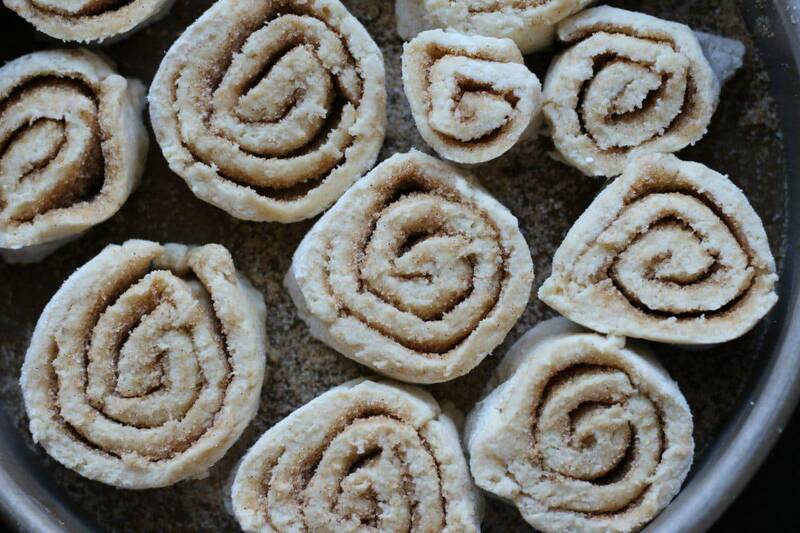 These easy gluten-free cinnamon rolls are going to rock your world. So easy. Super delicious. 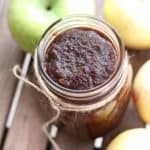 This will become your new favorite breakfast treat. In the bottom of a round cake pan, melt 1 T butter in a warm oven. Combine brown sugar and sugar and sprinkle evenly over melted butter. Set aside. Combine GF flour, 2 T sugar, 2 t baking powder, and 1 t salt. Crumble in softened butter with your hands or a pastry blender. Whisk together 1 egg with 3/4 c of milk. Add milk and egg to flour mixture. Stir well to combine. Form into dough ball and then place on well floured surface. Using a rolling pin, roll into a rectangle. Melt 1 to 2 T butter. Brush evenly over the dough. Combine brown sugar and sugar and cinnamon and sprinkle evenly over the melted butter. Starting on a long edge, roll evenly. This dough is forgiving! Fix it as you roll. Cut into 12 cinnamon rolls. 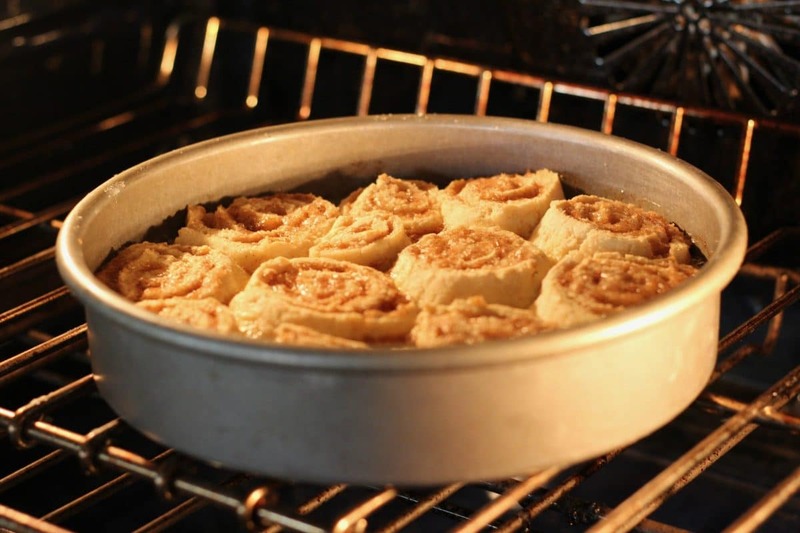 Place each cinnamon roll in the round cake pan. Bake at 375 for 20 to 25 minutes. 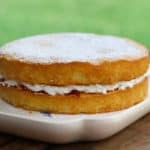 Gently remove from the cake pan and top with cream cheese glaze. Combine cream cheese, powdered sugar, butter, and vanilla in medium bowl. 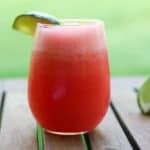 Using electric mixer, beat until smooth. Spread glaze on rolls.